Whenever established standards are violated, either intentionally or not, a claim of negligence can be filed. The negligence is what forms the basis of claiming malpractice in the legal arena. It matters not what profession is involved. Though most think of medical malpractice, malpractice can also be claimed against lawyers, social workers, and accountants. Any person who works within a profession which has a recognised set of standards is open to a claim of malpractice if they fail to follow the standards. What is Personal Injury Medical Malpractice? Personal injury is the legal term to distinguish injury to the body, mind or emotions of a person as opposed to injury to property, real or intellectual. The most common source of personal injury is from traffic accidents and accidents in general whether at home or at work. Personal injury can also be the result of medical or dental negligence. This is the basis of the personal injury medical malpractice suit. As with all personal injury cases the victim must prove the injury was a result of negligence of the medical or dental professional. This can be very complex and so a person who feels they have a claim is wise to seek a good solicitor. Personal injury medical malpractice cases can be based on just about anything though the courts may not allow them. For example, just because a person did not recover from an illness or injury as quickly as another does not mean the doctor was negligent. On the other hand, a serious infection causing permanent damage to the body after a surgery could very well be a strong case. Where Can I Find Personal Injury Medical Malpractice Companies? As with any legal service, there are a lot of factors and options which come into play regarding the fee. A lot of firms offer a free consultation to get a very basic understanding of your case and to discuss the estimated fee. A personal injury malpractice case can be lengthy and involve many witnesses which should be included in the fee. When it comes to payment, your solicitor may offer one of the following options: no-win, no-fee, a percentage of the settlement, fixed fee and pro-bono where there is no cost what-so-ever for the legal service. 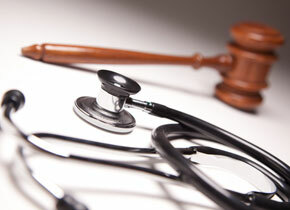 A personal injury medical malpractice case can be very personal and take time to resolve. A lot depends on the nature of the injury and the willingness of the malpractice insurance company to settle. Your local solicitor can provide you with the advice on your rights and the best course of action. Be sure you consult with several firms to get a sound estimate of the time and expense for your case.